"To investigate in a time where other hotels are inable to pay, Is a brave step. And earns respect". Said Ulrich Grobe, branch office leader of the IHK Elmshorn, during an information evening in Hotel Diamant in Wedel. Grobe: "Hotel Diamant doesn’t need to be frightened of the comparison to the big hotels in Hamburg". The Hotel is up to date in regards to everything. "The whole hotel breathes in familiar Atmosphere, what makes the big difference to other big hotels" said Grobe. He congratulated Gabriele and Heinz Ludwig Blum for their proved braveness and the entrepreneurial thinking and wished all the best for the future for the couple. (pl). Also Hamburg tourists appreciate the personal and familiar atmosphere in the quiet but central located hotel, 2 min to the train station many restaurants close by, and the just 5 min to the Elbe. What must be mentioned ist he wonderful breakfast buffet which can be compared to those from the first class hotels. 39 modern, comfortable rooms with completely renovated bathrooms invite to relax and enjoy the stay. Many restaurants close to the hotel deliver gourmets with finest quality meals. The family owned business distinguishes itself through personal dedication and their friendly employees and trainees. Individual wishes will be fulfilled immediately and make the stay an unforgettable experience. 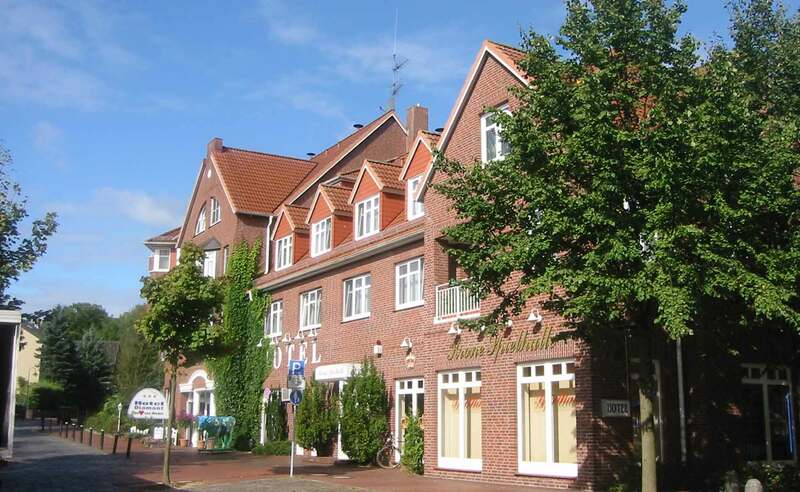 Hotel Diamant can easily compete with big hotels in Hamburg because of it’s nature surroundings and it’s excellent service in front of Hamburg’s gates.